Background: Differentiating Parkinson’s disease and atypical parkinsonism on clinical parameters is challenging, especially in early disease courses. This is due to large overlap in symptoms and because the so called red flags, i.e. symptoms indicating atypical parkinsonism, have not (fully) developed. Brain MRI can aid to improve the accuracy and confidence about the diagnosis. Objective and Methods: In the current paper, we discuss when brain MRI should be performed in the diagnostic work-up of parkinsonism, our preferred brain MRI scanning protocol, and the diagnostic value of specific abnormalities. Results and Conclusions: The main purpose of brain MRI is to assess cerebrovascular damage, and to exclude other possible – and sometimes treatable – causes of parkinsonism, such as normal pressure hydrocephalus. Furthermore, brain MRI can support the possible or probable diagnosis of a specific form of atypical parkinsonism. Parkinson’s disease (PD) and the different forms of atypical parkinsonism (AP) are clinical diagnoses. Differentiating PD and AP on clinical parameters is challenging, especially in early disease courses. This is due to (1) large overlap in symptoms and (2) because the so called red flags, i.e. symptoms indicating AP, have not (fully) developed [1, 2]. Brain MRI can aid to improve the accuracy and confidence about the diagnosis, which is relevant for treatment decision making and for prognosis estimation. The main purpose of brain MRI is to assess cerebrovascular damage, and to exclude other possible – and sometimes treatable – causes of parkinsonism, such as normal pressure hydrocephalus. Furthermore, brain MRI can support the possible or probable diagnosis of a specific form of AP . More advanced MRI and functional neuro-imaging techniques, including functional-MRI and nuclear imaging techniques such as PET and SPECT, have provided a more comprehensive understanding of the complex neurobiological changes in PD and AP and are expected to provide new neuroimaging biomarkers . These techniques are, however, beyond the scope of this paper. Clinical practice guidelines recommend to perform a brain MRI once in the course of the disease [5–8]. MRI is superior to CT, because of a better resolution and sensitivity to identify structural brain pathology and is therefore the preferred imaging modality . A brain CT can be considered in case MRI cannot be (safely) performed, for example in case of an implanted pacemaker or claustrophobia. In the current paper, we discuss when brain MRI should be performed in the diagnostic work-up of parkinsonism, our preferred brain MRI scanning protocol, and the diagnostic value of specific abnormalities. This is of relevance both for neurologists and radiologists, as either can signal the presence of sometimes subtle abnormalities on brain MRI. These techniques are, however, beyond the scope of this paper. Clinical practice guidelines recommend to perform a brain MRI once in the course of the disease [5–8]. MRI is superior to CT, because of a better resolution and sensitivity to identify structural brain pathology and is therefore the preferred imaging modality . A brain CT can be considered in case MRI cannot be (safely) performed, for example in case of an implanted pacemaker or claustrophobia. In the current paper, we discuss when brain MRI should be performed in the diagnostic work-up of parkinsonism, our preferred brain MRI scanning protocol, and the diagnostic value of specific abnormalities. This is of relevance both for neurologists and radiologists, as either can signal the presence of sometimes subtle abnormalities on brain MRI. A routine brain MRI study, at 1.5T or 3T magnetic field strength, takes about 30 minutes and includes different acquisitions, also referred to as sequences. We recommend to include T1-weighted and T2 FLAIR, either as 2D or 3D acquisitions. Both transversal and sagittal planes should be available. Furthermore, the protocol should include diffusion-weighted imaging (DWI) and a susceptibility sensitive sequence, either T2* or susceptibility weighted imaging (SWI). For a more detailed evaluation of the basal ganglia and small areas of tissue loss, it is advisable to also include a T2-weighted sequence. The purpose and limitations of these various sequences are described in Table 1. Conventional brain MRI lacks a specific diagnostic marker for PD . Cortical atrophy may be related to the development of dementia in PD, especially when the temporal, occipital and subcortical structures are involved [10, 11]. In patients with specific forms of AP, the cortex, basal ganglia, brainstem and cerebellum are the main cerebral areas of interest as they can be affected by atrophy or signal intensity changes [3, 12, 13]. Examples are provided in Figs. 1–4. Atrophy and T2 hyper-intensity changes of the pons (‘hot cross bun’ sign) and middle cerebellar peduncles are suggestive of the cerebellar form of multiple system atrophy (MSA). Atrophy and T2 hypo-intensity of the putamen may be seen in both the parkinsonian and cerebellar forms of MSA. The putaminal rim sign, seen as a T2 hyper-intense rim along the outer border of the putamen, is considered to be suggestive of MSA on 1.5T MRI but a normal finding on 3T MRI . Severe hypo-intensity of the putamen on SWI or T2*, combined with atrophy, is commonly seen in MSA even in early disease stages, and differentiates MSA from other forms of parkinsonism [3, 15]. Atrophy of the midbrain (‘hummingbird’ sign in the sagittal plane, or ‘morning glory’ sign in the transversal plane), and atrophy with signal intensity changes of the superior cerebellar peduncles are typically observed in progressive supranuclear palsy (PSP). MRI-based measurements of the midbrain in relation to the pons can be applied for the diagnosis of PSP [16, 17]. Hypo-intensity changes of the red and dentate nuclei on SWI or T2* could possibly provide a new diagnostic marker for PSP, but this observation remains to be assessed in a larger cohort . There is a strong correlation between clinically diagnosed corticobasal syndrome and asymmetric atrophy of the cerebral hemispheres. Although corticobasal degeneration (CBD) is characterized by asymmetrical cortical atrophy affecting the parietal lobe, the possible underlying pathology of corticobasal syndrome also includes PSP, frontotemporal dementia or Alzheimer disease . Dementia with Lewy bodies (DLB) lacks specific diagnostic markers on brain MRI, although mild general atrophy can be seen in some cases. 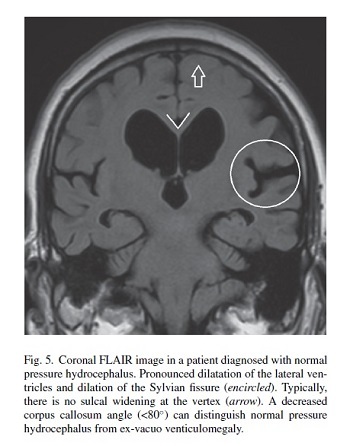 In case of pronounced ventricular dilatation and enlargement of the Sylvian fissure, normal pressure hydrocephalus should be included in the differential diagnosis (Fig. 5). A decreased angle of the corpus callosum in the coronal plane (<80◦) can distinguish normal pressure hydrocephalus from ex-vacuo venticulomegaly . The FLAIR sequence is useful for the evaluation of tissue loss and gliosis commonly seen in vascular brain damage, which can support the diagnosis of vascular parkinsonism [20–22]. Vascular parkinsonism should be considered in case of lacunar infarctions and white matter lesions (signs of small vessel disease), and is less frequently associated with large vessel infarctions . Differentiation with Parkinson’s disease can be challenging, as concurrent vascular lesions are relatively common in patients with PD . The evaluation of signal intensity changes of the thalamus, brainstem and white matter lesions using a 3D FLAIR sequence is superior to a conventional 2D FLAIR sequence [24, 25]. The DWI sequence is sensitive to early ischemic changes after stroke, identification of which can have immediate consequences for secondary prophylaxis. DWI can also be evaluated in a quantitative manner, as changes in diffusivity seem to represent a quantitative measure of microstructural integrity of white matter tracts and gray matter structures, and accordingly microstructural damage in neurodegenerative disorders such as PD and AP . Diffusion tensor imaging (DTI) provides additional directional information of tissue diffusivity, and hence more detailed measures of microstructural integrity. Previous studies indicate that DWI and DTI measures of the basal ganglia, brainstem and cerebellum seem to be able to accurately identify subjects diagnosed with PD and different forms ofAP, even when no abnormalities are seen on conventional MRI sequences [3, 26, 27]. An important drawback of quantitative DTI is that patterns derived from group-wise comparisons cannot be applied directly to individual patients, asvalidated diagnostic criteria are generally lacking. The exact role of diffusional changes in the diagnostic process of PD or AP is therefore still under debate. We have provided an overview of clinical brain MRI scanning protocol requirements in the diagnostic work-up of patients with parkinsonism. Importantly, the diagnosis of PD and specific forms of AP remain clinical diagnoses according to the current diagnostic criteria/standards. Ancillary investigations can yield specific clues and can be of supportive value for a specific possible or probable diagnosis. Currently, a definite or even a probable diagnosis cannot be made based on brain MRI alone. Moreover, sensitivity and specificity of certain specific abnormalities on conventional brain MRI for the different forms of AP are variable and depend on disease stage, ranging from reasonably good (e.g. pontocerebellar atrophy in advanced stage MSA-C with reported specificity of 90–100%) to rather poor (e.g. 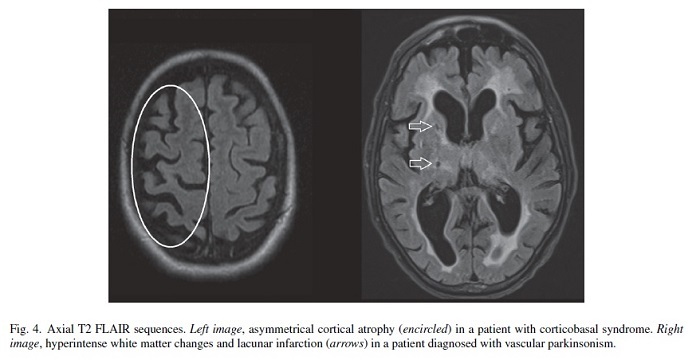 cortical atrophy with reported sensitivity and specificity for AP of 40–70%) . Clinically as well as in brain MRI, the diagnostic uncertainty is largest in early disease phases, because abnormalities may not et have developed. This is supported by the few longitudinal imaging studies that performed serial MRI scans in one individual over time [29, 30]. It is therefore appropriate to critically review the common recommendation that brain MRI should be performed as a standard procedure in all patients presenting with a form of parkinsonism [5–8]. At our center, we refrain from brain MRI in patients presenting with classical symptoms of idiopathic PD, i.e. an asymmetric pattern without any red flags and – preferably – a satisfactory response to a normal dose of dopaminergic medication. We do perform a brain MRI in patients with an atypical disease course, since finding a specific abnormality might suggest (a specific form of) AP, at the same time realizing that MRI without abnormalities does not exclude any form of AP. The added value of brain MRI is greatest in patients with a possible underlying treatablecause of their parkinsonism, such as patients suspected of having normal pressure hydrocephalus or patients who might have underlying cerebrovascular pathology. Finally, it is necessary to briefly mention the importance of brain MRI as part of the pre-operative work-up in PD patients scheduled to undergo a deep brain surgical procedure. Appropriate patient selection for this procedure is of critical importance . Performing MRI after deep brain stimulation surgery with an implanted electrode is restricted, and feasible only under stringent conditions. How can we increase the diagnostic value of brain MRI? A first approach is to further evaluate the merits of existing MRI protocols. Performing more longitudinal imaging studies along with detailed clinical follow-up allows us to determine when in the course of the disease specific abnormalities are likely to emerge. Ideally MRI findings should be correlated with a “silver standard” diagnosis (based on clinical parameters at long term follow-up) and if possible the gold standard diagnosis (based on post-mortem brain examination). We used this former approach in a follow-up study of 156 patients presenting with parkinsonism, and showed that a comprehensive set of clinical tests provides good accuracy to differentiate PD from AP, and that the added diagnostic value of brain MRI is relatively highest for those patients where the baseline clinical diagnostic certainty is lowest [28, 32]. A second approach is to deploy more advanced MRI techniques – including DTI, magnetization transfer imaging and (resting state) functional MRI – which have become available over the last decade for potential use in clinical practice. These advanced MRI techniques have proven to be helpful in further exploring and understanding the pathophysiologic changes, mainly in PD and to a lesser extent in AP [3, 4, 26, 27, 33]. A prerequisite for clinical application is standardized data-processing and the availability of well-defined imaging criteria. Combined application of PET and MRI scanners could possibly aid in determining diagnostic criteria based on these advanced MRI techniques . An increase in magnetic field strength enables improved tissue contrast and better spatial and temporal resolution, with reported higher accuracy in detecting more subtle pathologic changes and improved evaluation of smaller brain structures such as the substantia nigra [35, 36]. However, few hospitals are equipped with a 7T MRI scanner, which are currently used almost exclusively for research purposes. A third approach is to combine the diagnostic value of the structural and functional imaging markers by further developing machine-learning algorithms for advanced MRI techniques. These machine-learning techniques rely on algorithms analyzing imaging data without a-priori hypotheses, based on which classifiers can be constructed for pattern recognition at the individual level [37, 38]. Compared with a single imaging technique, the advantage of using multiple techniques is to extract more features in order to more accurately profile specific neurodegenerative pathology . Finally, besides optimizing the MRI scanning protocol and applying new neuro-imaging techniques, the level of experience of the physician reading the study needs to be taken into account and optimized accordingly. 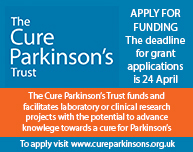 This work was supported by an unrestricted center grant of the National Parkinson Foundation (NPF). We thank Yvonne Hoogeveen and Dr. Stefan Steens for proofreading of the manuscript. Aerts MB, Meijer FJ, Verbeek MM, Esselink RA, & Bloem BR (2011) Diagnostic challenges in parkinsonism. Expert Rev Neurother, 11, 1099-1101. Berg D, Postuma RB, Adler CH, Bloem BR, Chan P, Dubois B, Gasser T, Goetz CG, Halliday G, Joseph L, Lang AE, Liepelt-Scarfone I, Litvan I, Marek K, Obeso J, Oertel W, Olanow CW, Poewe W, Stern M, & Deuschl G (2015) MDS research criteria for prodromal Parkinson’s disease. Mov Disord, 30, 1600-1611. Seppi K, & Poewe W (2010) Brain magnetic resonance imaging techniques in the diagnosis of parkinsonian syndromes. Neuroimaging Clin N Am, 20, 29-55. Weingarten CP, Sundman MH, Hickey P, & Chen NK (2015) Neuroimaging of Parkinson’s disease: Expanding views. Neurosci Biobehav Rev, 59, 16-52. Bloem BR, van Laar T, Keus SH, de Beer H, poot E, Buskens E, AardenW, Munneke M, & Namens de Centrale Werkgroep Multidisciplinaire Richtlijn Parkinson 2006-2009 (2010) Multidisciplinaire richtlijn voor de ziekte van Parkinson. van Zuiden Communications, Alphen aan de Rijn. Stewart DA (2007) NICE guideline for Parkinson’s disease. Age Ageing, 36, 240-242.
of the Quality Standards Subcommittee of the American Academy of Neurology. Neurology, 58, 11-17. 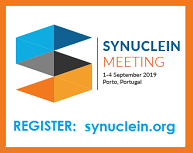 Horstink M, Tolosa E, Bonuccelli U, Deuschl G, Friedman A, Kanovsky P, Larsen JP, Lees A, Oertel W, PoeweW, Rascol O, Sampaio C, European Federation of Neurological Societies, Movement Disorder Society-European Section, & Review of the therapeutic management of Parkinson’s disease (2006) Report of a joint task force of the European Federation of Neurological Societies and the Movement Disorder Society-European Section. Part I: Early (uncomplicated) Parkinson’s disease. Eur J Neurol, 13, 1170-1185. Brooks DJ (2000) Morphological and functional imaging studies on the diagnosis and progression of Parkinson’s disease. J Neurol, 247, 11-18. Burton EJ, McKeith IG, Burn DJ, Williams ED, & O’Brien JT (2004) Cerebral atrophy in Parkinson’s disease with and without dementia: A comparison with Alzheimer’s disease, dementia with Lewy bodies and controls. Brain, 127, 791-800. Nagano-Saito A, Washimi Y, Arahata Y, Kachi T, Lerch JP, Evans AC, Dagher A, & Ito K (2005) Cerebral atrophy and its relation to cognitive impairment in Parkinson disease. Neurology, 64, 224-229. 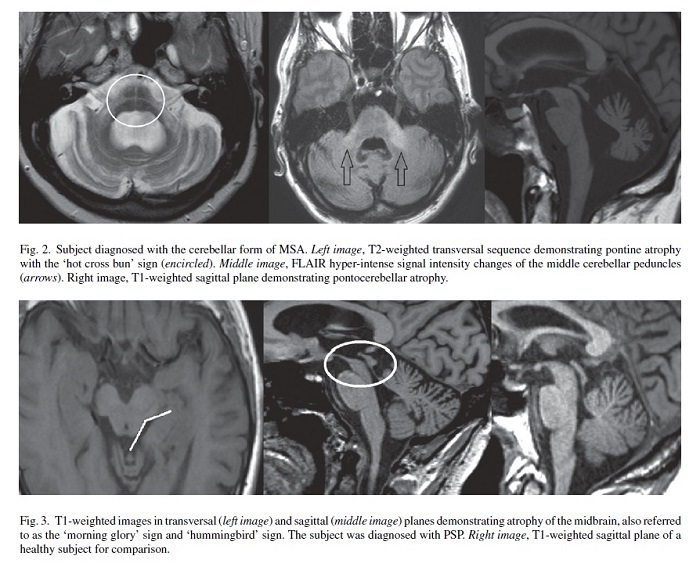 Schrag A, Good CD, Miszkiel K, Morris H, Mathias C, Lees AJ, & Quinn NP (2000) Differentiation of atypical parkinsonian syndromes with routine MRI. Neurology, 54, 697-702. Yekhlef F, Ballan G, Macia F, Delmer O, Sourgen C, & Tison F (2003) Routine MRI for the differential diagnosis of Parkinson’s disease, MSA, PSP, and CBD. J Neural Transm, 110, 151-169. Lee WH, Lee CC, Shyu WC, Chong PN, & Lin SZ (2005) Hyperintense putaminal rim sign is not a hallmark of multiple system atrophy at 3T. AJNR Am J Neuroradiol, 26, 2238-2242. Meijer FJ, van Rumund A, Fasen BA, Titulaer I, Aerts MB, Esselink RA, Bloem BR, Verbeek MM, & Goraj B (2015) Susceptibility Weighted Imaging improves the diagnostic accuracy of 3 Tesla brain MRI in the work-up of parkinsonism. AJNR Am J Neuroradiol, 36, 454-460. Longoni G, Agosta F, Kostic VS, Stojkovic T, Pagani E, Stosic-Opincal T, & Filippi M (2011) MRI measurements of brainstem structures in patients with Richardson’s syndrome, progressive supranuclear palsy-parkinsonism, and Parkinson’s disease. Mov Disord, 26, 247-255. Massey LA, Jager HR, Paviour DC, O’Sullivan SS, Ling H, Williams DR, Kallis C, Holton J, Revesz T, Burn DJ, Yousry T, Lees AJ, Fox NC, & Micallef C (2013) The midbrain to pons ratio: A simple and specific MRI sign of progressive supranuclear palsy. Neurology, 80, 1856-1861. Ling H, O’Sullivan SS, Holton JL, Revesz T, Massey A, Williams DR, Paviour DC, & Lees AJ (2010) Does corticobasal degeneration exist? A clinicopathological reevaluation. Brain, 133, 2045-2057. Ishii K, Kanda T, Harada A, Miyamoto N, Kawaguchi T, Shimada K, Ohkawa S, Uemura T, Yoshikawa T, & Mori E (2008) Clinical impact of the callosal angle in the diagnosis of idiopathic normal pressure hydrocephalus. Eur Radiol, 18, 2678-2683. 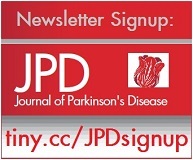 Gupta D, & Kuruvilla A (2011) Vascular parkinsonism: What makes it different? Postgrad Med J, 87, 829-836. Zijlmans JC (2010) The role of imaging in the diagnosis of vascular parkinsonism. Neuroimaging Clin N Am, 20, 69-76. Korczyn AD (2015)Vascular parkinsonism–characteristics, pathogenesis and treatment. Nat Rev Neurol, 11, 319-326. Nanhoe-Mahabier W, de Laat KF, Visser JE, Zijlmans J, de Leeuw FE, & Bloem BR (2009) Parkinson disease and comorbid cerebrovascular disease. Nat Rev Neurol, 5, 533-541. 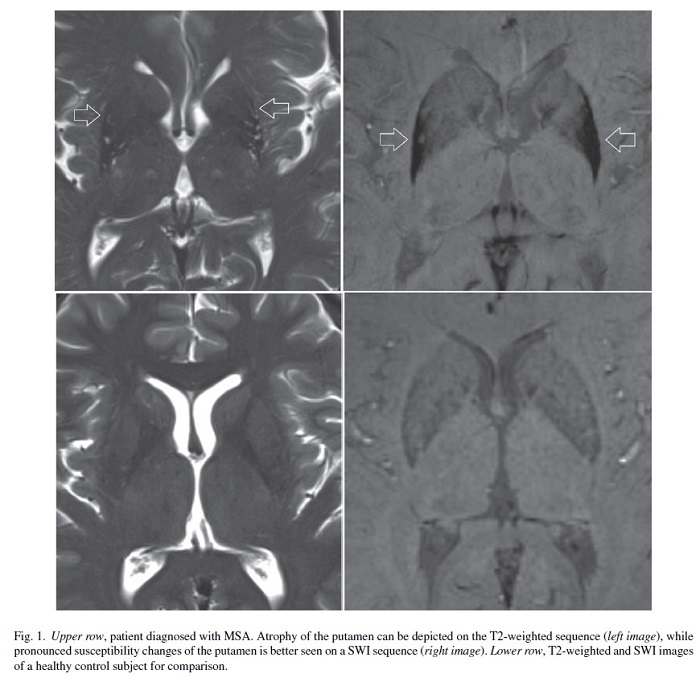 Kitajima M, Hirai T, Shigematsu Y, Uetani H, Iwashita K, Morita K, Komi M, & Yamashita Y (2012) Comparison of 3DFLAIR,2DFLAIR, and 2DT2-weighted MR imaging of brain stem anatomy. AJNR Am J Neuroradiol, 33, 922-927. Paniagua Bravo A, Sanchez Hernandez JJ, Ibanez Sanz L, Alba de Caceres I, Crespo San Jose JL, & Garcıa-Castano Gandariaga B (2014) A comparative MRI study for white matter hyperintensities detection: 2D-FLAIR, FSE PD 2D, 3D-FLAIR and FLAIR MIP. Br J Radiol, 87, 20130360. Hotter A, Esterhammer R, Schocke MF, & Seppi K (2009) Potential of advanced MR imaging techniques in the differential diagnosis of parkinsonism. Mov Disord, 24(Suppl 2), 711-720. Meijer FJ, Bloem BR, Mahlknecht P, Seppi K, & Goraj B (2013) Update on diffusion MRI in Parkinson’s disease and atypical parkinsonism. J Neurol Sci, 332, 21-29. Meijer FJ, Aerts MB, Abdo WF, Prokop M, Borm GF, Esselink RA, Goraj B, & Bloem BR (2012) Contribution of routine brain MRI to the differential diagnosis of parkinsonism: A 3-year prospective follow-up study. J Neurol, 259, 929-935. Paviour DC, Price SL, Jahanshahi M, Lees AJ, & Fox NC (2006) Longitudinal MRI in progressive supranuclear palsy and multiple system atrophy: Rates and regions of atrophy. Brain, 129, 1040-1049. Reginold W, Lang AE, Marras C, Heyn C, Alharbi M, & Mikulis DJ (2014) Longitudinal quantitative MRI in multiple system atrophy and progressive supranuclear palsy. Parkinsonism Relat Disord, 20, 222-225. Telford R, & Vattoth S (2014) MR anatomy of deep brain nuclei with special reference to specific diseases and deep brain stimulation localization. Neuroradiol J, 27, 29-43. Aerts MB, Esselink RA, Abdo WF, Meijer FJ, Drost G, Norgren N, Janssen MJ, Borm GF, Bloem BR, & Verbeek MM (2015) Ancillary investigations to diagnose parkinsonism: A prospective clinical study. J Neurol, 262, 346-356. Helmich RC, Hallett M, Deuschl G, Toni I, & Bloem BR (2012) Cerebral causes and consequences of parkinsonian resting tremor: A tale of two circuits? Brain, 135, 3206-3226. Teune LK, Renken RJ, de Jong BM, Willemsen AT, van Osch MJ, Roerdink JB, Dierckx RA, & Leenders KL (2014) Parkinson’s disease-related perfusion and glucose metabolic brain patterns identified with PCASL-MRI and FDG-PET imaging. Neuroimage Clin, 5, 240-244. Blazejewska AI, Schwarz ST, Pitiot A, Stephenson MC, Lowe J, Bajaj N, Bowtell RW, Auer DP, & Gowland PA (2013) Visualization of nigrosome-1 and its loss in PD: Pathoanatomical correlation and in vivo 7 T MRI. Neurology, 81, 534-540. Schwarz ST, Afzal M, Morgan PS, Bajaj N, Gowland PA, & Auer DP (2014) The ‘Swallow Tail’ appearance of the healthy nigrosome – a new accurate test of Parkinson’s disease: A case-control and retrospective cross-sectional MRI study at 3T. PLoS One, 9, e93814. Salvatore C, Cerasa A, Castiglioni I, Gallivanone F, Augimeri A, Lopez M, Arabia G, Morelli M, Gilardi MC, & Quattrone A (2014) Machine learning on brain MRI data for differential diagnosis of Parkinson’s disease and progressive supranuclear palsy. J Neurosci Methods, 222, 230-237. Long D, Wang J, Xuan M, Gu Q, Xu X, Kong D, & Zhang M (2012) Automatic classification of early Parkinson’s disease with multi-modal MR imaging. PLoS One, 7, e47714.